Where the treads lie in wait. 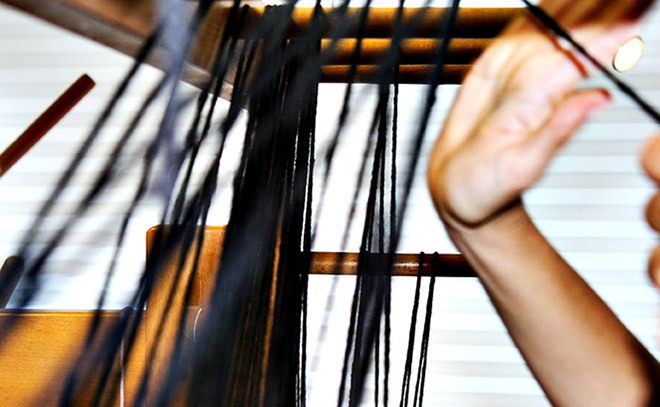 The warper is the tool that allows to prepare the warp, so that it can be mounted on the frame of a wooden manual loom. The simplest and oldest warping consists of a series of wooden pegs firmly attached to a countertop or a wall , placed at the right distance to get the length of warp required. Where the warp is collected. 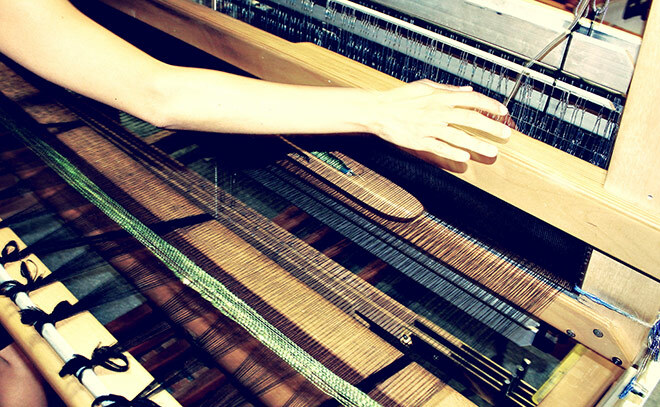 In crafted hand-looms, a wooden cylinder positioned between the shoulders of the frame is known as the beam. 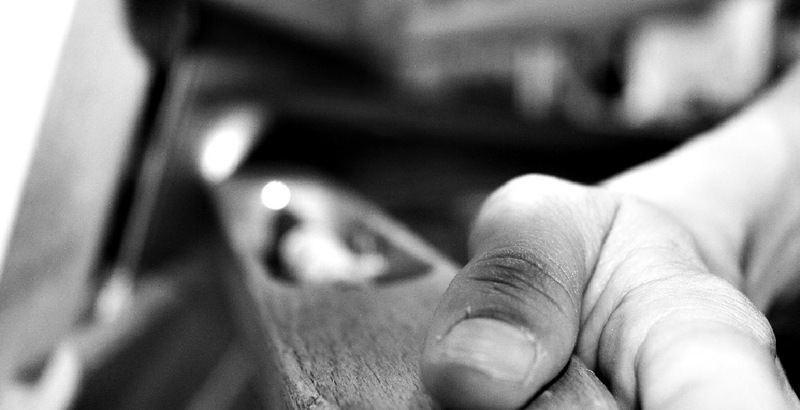 Its ends are inserted in holes that allow the beam to turn on itself. One of them is equipped with a mechanism consisting of some holes with pegs, a friction brake or a toothed gear that allows to block the movement of rotation. 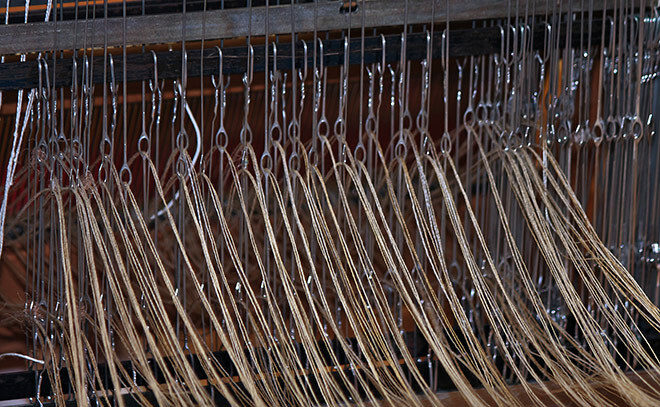 At the beam, connected by ropes or straps a stick or rod is used to tie the warp threads. 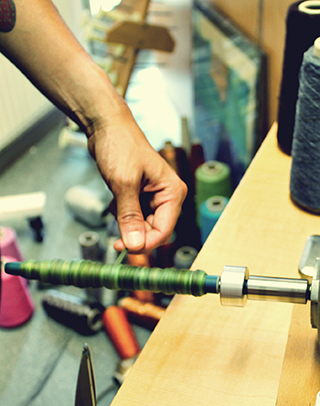 Where the fabric is formed. 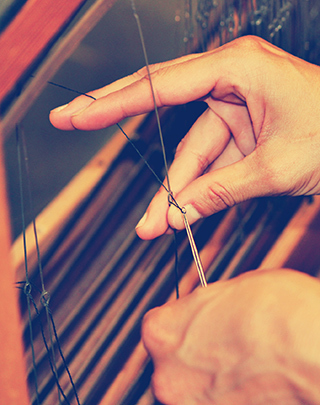 In weaving the task of the heddles is to separate the warp thread for the passage of the weft. The heddles can vary in number, depending on the type of frame structure one desires or intends to achieve. Each thread of the warp goes through a heddle on a shaft which then allows the warp threads to be moved up or down by the shaft. 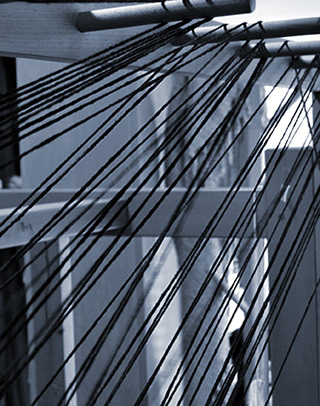 This movement of lowering and lifting, which intersects the series of threads, serves to block the weft thread between the warp ones, and thus build the fabric.